A 65-year-old motorcyclist has died after a collision with a van yesterday. Derbyshire police were called to Watery Lane in Clifton yesterday (Thursday, August 10) at 3.15pm, following the collision. 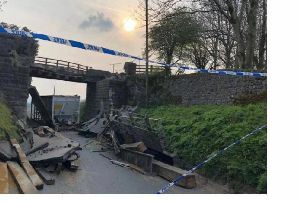 A spokesman for Derbyshire police said: “On arrival the rider of the motorcycle, a 65-year-old man from Leek, was pronounced dead at the scene. “Officers are currently trying to identify the man’s next of kin.